According to Atama’s official website, the word “Atama” itself is a word of Japanese origin meaning head, mind and intelligence. This represents both the art of Jiu-Jitsu as well as the approach that Atama take when designing their top-quality BJJ products. These aren’t just gi’s that are mindlessly ploughed out to just bring in money and make a profit. Atama make sure that their gi’s are crafted with supreme intelligence and mindfulness. 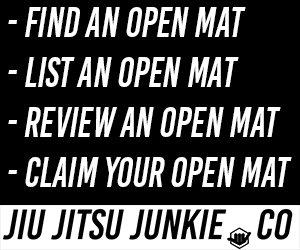 Every facet of their gi’s have a purpose and a reason for being there to provide the wearer with the best possible BJJ experience they can have. If something doesn’t enhance the users experience, then it’s removed or improved until it does so. Atama have been in business since 1989. Long before most people had even heard of BJJ and before the official birth of the sport of MMA, wherein BJJ exploded with popularity. They’ve seen the sport of BJJ grow and blossom and have been able to adapt and innovate with their products to not only stay in the market, but to dominate. 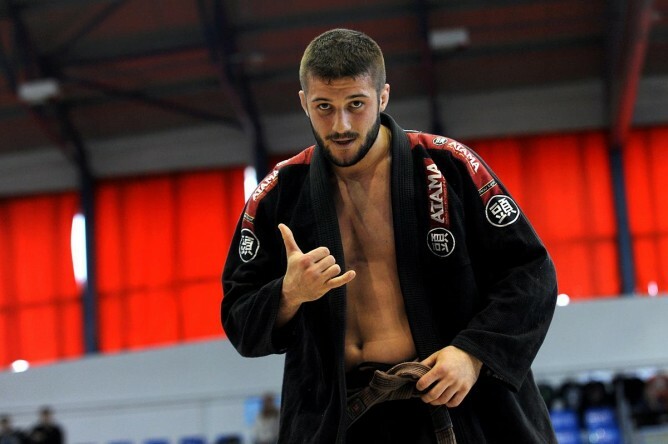 Many top athletes choose to use Atama gi’s over all others; with Atama choosing to sponsor both elite, established competitors and the new, rising stars in the sport. Their excellent products and matching customer service, Atama has grown into a vast, worldwide company that offers their gi’s, shorts, rash-guards and other bits of BJJ related equipment to people literally all over the world. Atama’s budget gi is superior to many of the premium gi’s that have been released by newer, upstart companies. When you’ve been in business for as long as Atama have and you’ve seen the rapid growth and transformation of the sport, you tend to learn a thing or two. A thing or two about what makes a gi go from bad to good and to good to great. Such lessons and experience have allowed Atama to make a cheap gi that is both comfortable and durable. When looking for gi’s at the budget price point, you often have to choose between the two, with many companies not knowing how to produce quality at low prices. This is where decades of experience separates the wheat from the chaff. This is a somewhat baggier fitting gi which is perfect for those that feel constricted by the more tapered and tailored fits that are common with competition style gi’s. These baggier fitting gi’s are sometimes more comfortable and are also more forgiving when washing; as there is more material to go around, you’re less likely to end up with a gi shrunk too small. This gi comes in black with logos on both arms. This leaves you free to keep the gi plain and simple, or to cover it with patches and logos of your own choosing to customise the gi to suit your perfectly. Atama advertise this gi as their lightest weight kimono that they offer. When competing and having to make weight in your gi, the slightest weight change in ounces can make a huge difference between competing in your chosen weight class or having to compete against those bigger than you. When you’re fighting hard and your energy reserves are getting low, that same seemingly tiny weight difference can make all the difference, especially when competing at the highest levels. This same lightness also manifests into a cooler training experience. For those that train in warmer climates, this can be a lifesaver. This is definitely a gi that you should get if you plan on visiting a hot country, like a training holiday in Brazil for example, and want to keep up with your training. Despite the thinner and lighter material, it’s still incredibly durable. You don’t have to worry about it ripping, tearing or even fraying with hard or prolonged use. This is a competition gi that can be both used in competition and your general training with great effect. As with most competition style gi’s, it features a much more tapered fit, with the cut of the gi holding much tighter to your frame than the beginner and budget gi’s tend to be. This leads to less material available for your opponent to grab which makes getting gripped slightly more difficult. As with the weight, this slight difference in the amount of material available for opponents can lead to a huge advantage when competing. This gi may be familiar. You have no doubt seen this very same gi worn by BJJ practitioners in both training and in competition. Even competition at the highest level, such as the World Championships, also known as the Mundials… where, funnily enough, this gi gets its name from. This is the ninth model in the series so Atama have had years and years and model after model to iterate and optimise to produce the absolute best, premium gi that they can make. This gi is made in Brazil, the home and birthplace of Brazilian jiu-jitsu, where they can quickly and easily stress test the changes made to their Mundial Gi’s to make sure that they’re as close to perfection as can be. To improve durability and prevent wear-and-tear, the gi top is made of a one-piece construction without a seem on the back and without a skirt. This not only helps to prevent tears but also allows for a generally better cut and fit of the gi itself. Though despite this tailored fit, there is still ample room around the shoulder areas to improve comfort and allow you to move around as needed. This gi is available for purchase in the standard colours of white, blue and black and various sizes. Whatever your height, weight and size, Atama have you covered. There is a handy size chart on their official website which allows you to exactly select the size to suit you.